It can't be easy being the world's most famous living architect. Sometimes you have to say what's on your mind. Sometimes words just won't do. No, that's not Frank Gehry demonstrating the spire of his newest skyscraper. 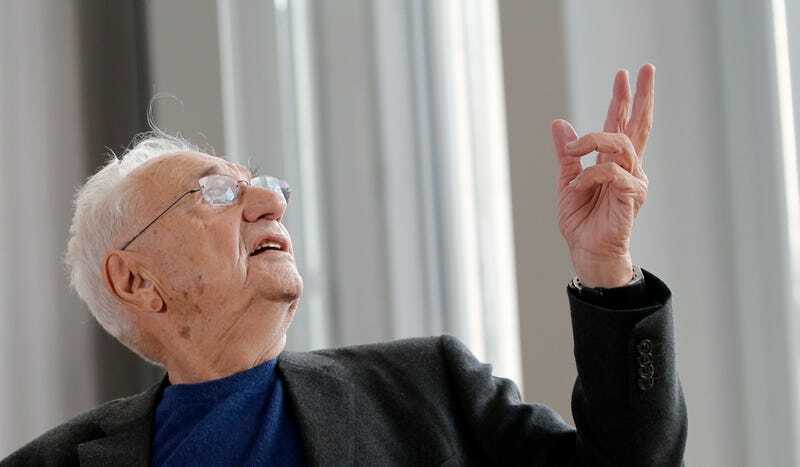 That's Frank Gehry giving you—and all his many critics—the finger.